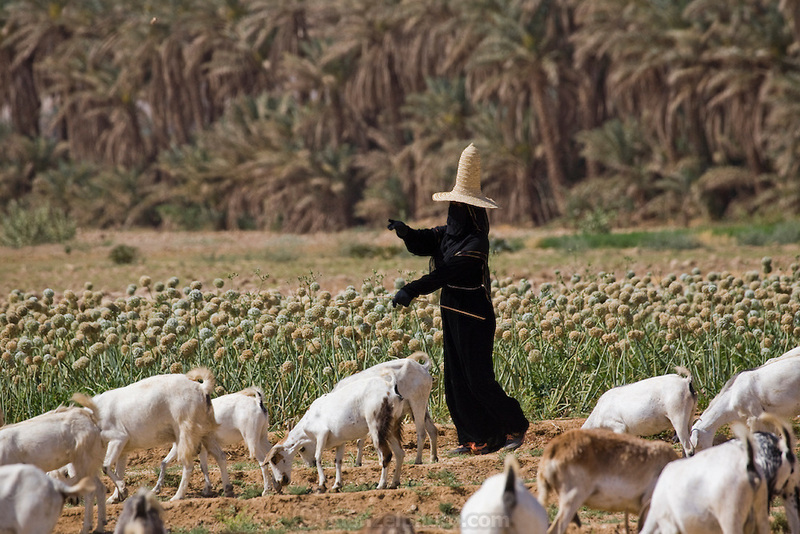 A woman dressed in a black abaya and shielded from the sun in a wide-brimmed straw hat called a nakhl, herds goats near Shibam on the edge of the Arabian Peninsula's Rub al Khali, or Empty Quarter. This section of desert holds the world's largest stretch of sand. Hadhramawt, Yemen.